Music fans around the world were shocked and devastated when Chester Bennington, singer of rock/metal band Linkin Park, committed suicide on July 20th. Bennington passed away at the age of 41 and left behind six children and his wife Talinda. The singer’s suicide took place eerily on what would have been Chris Cornell’s birthday, a good friend of Bennington. 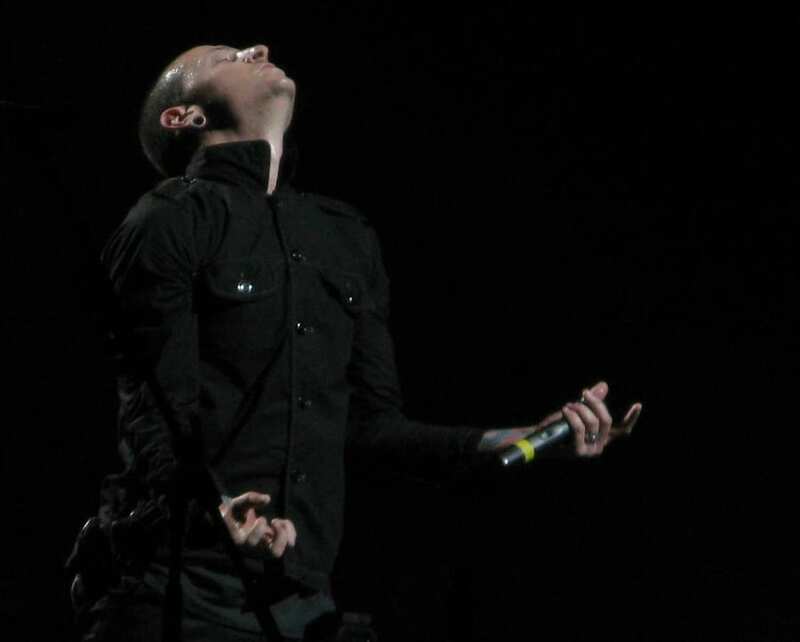 Chester Bennington was known to have mental health issues and personal demons which often fueled his music and what he wrote for Linkin Park. His lyrics frequently revealed the darker side of his personality and the painful feelings he experienced in his private life. Although Bennington tried hard to take care of himself by seeing a therapist, ultimately his problems with depression became overwhelming and caused him to take his own life. Bennington’s mental health issues began as a result of some traumatic childhood experiences that shaped his life as an adult. The singer revealed in interviews that a friend a few years older than him began molesting him when he was only 7 years old. He was sexually and physically abused by this friend who would beat him up and force him to do things he didn’t want to do. As a child he was afraid to tell anyone what was happening to him and suffered in silence for six years. In the midst of this experience, Bennington’s parents divorced when he was 11 and he moved in with his father who usually worked long hours as a police detective. He felt isolated and abandoned by his family as he was often left alone at home and still suffered abuse from his older friend. When he turned 13 the sexual abuse finally ended but the psychological damage that Bennington suffered from the experience left him vulnerable with low self-confidence. In order to get his confidence back, he began drinking and using drugs which became a problem that lasted well into his adulthood. He tried pot at the age of only 11 and later took harder street drugs like cocaine and methamphetamines. As an adult Chester had very vague memories of his abuse until he went to his mother’s house and saw an old picture of himself and remembered the time when the picture was taken. Suddenly the memories of what happened to him at that age came flooding back and he realized how young he was to go through something so horrible. He realized that the years of sexual abuse were what caused him to become a drug addict and deal with such intense depression. Bennington’s drug use continued to escalate even throughout his music career with Linkin Park. At one point he admits he was taking 11 hits of acid a day along with other drugs like crack and meth. He would smoke opium to come down from his other drug use and was so addicted that he weighed only 110 pounds. It became so out of hand that his bandmates staged an intervention for him in 2006. They opened up to Chester and told him how they felt about his drug use. Bennington admitted that at the time he had no idea how much his drug use was affecting the people around him. Bennington was known to have worked with a sober companion for many years but he continued to battle his issues with addiction for the rest of his life. When he was found dead in his home by a housekeeper, there was a half empty bottle of alcohol in the room indicating that he had fallen off the wagon prior to his death. The singer never completely recovered from his issues of depression which plagued him for his entire life. He was also devastated to lose his friend Chris Cornell who shockingly committed suicide only a few months ago. Bennington grew up as a huge fan of Cornell’s music and later got to sing on stage with him and develop a close bond as friends and artists. Bennington was deeply saddened by Cornell’s death and even sang “Hallelujah” at his funeral. Cornell and Bennington had similar methods of suicide as both were found hanging from a doorway. The fact that Bennington’s death took place on what would be Cornell’s birthday led many to speculate whether the death of his friend motivated the choice to take his own life. It remains unclear whether Cornell’s death had any correlation with Bennington’s but the Linkin Park singer’s own mental health issues were a major factor in his suicide. Suffering from trauma and abuse as well as problems with addiction, Bennington was unable to fully recover from all that he went through. Unfortunately, the singer became overwhelmed by all these factors and Linkin Park fans tragically lost one of their biggest musical inspirations.